So the latest dragon age. The latest Bioware game. The Review. I should have done this a while ago, but I kind of didn't want to. Not because it was bad, it wasn't. It just wasn't as good as I hoped. And I don't understand why people think it's amazing. This coming from an admitted Bioware Fanboy. Speaking of which; there were some moments in this game that did make me fan-squee a little. So I liked this game, really liked it in fact, but I didn't love it. Dragon age Origins, I loved. Mass Effect 1 and 2 I loves, even Dragon age 2 and Mass Effect 3 I loved. I'm the guy who plays Mass effect three, gets annoyed about the ending in private but then defends it when people complain. Drangon Age Inquisition, however... Okay, let me qualify this. It's a good game, a really good game, but there were just some things about it that bothered me. I played on the PC, I played Origins and 2 on the PC so I wanted to play Dragon Age Inquisition on the same medium to continue my save file, to make sure that my quest continued, but they no longer allowed that. It worked perfectly well in Dragon age 2, I simply uploaded my save from DA: O to DA2 and I was ready to go, all the choices I made carried over and all the things they effected were effected from the go. This worked perfectly well 4 years ago, but when DA:I came to be developped it was impossible. Bioware required that we go to a website and 'upload' our characters then select which choices we made as we progressed through the game. Bare in mind its been about 6 years since I played and I dont remember what I did with every single character. Also worth noting that it couldnt find my main play through characters from DA: O no matter what I did. Not that it really mattered as I had to input all of the choices anyway, it just would have been nice to have my character name and image. So that put me in a bad mood from the start. Next thing that bothered me was the control system (I think thats the best way of describing it). DA: O and DA2 controls were designed for PC, or at least they felt more like they were. I could have every single one of my spells available at every moment. there was never a time where I had to choose between 2 different spells. I liked it that way because my character would have a dozen or more abilities, sometimes they wouldn't even be useful, except when going into specific scenarios or specific types of battles, but you wouldn't always knowyou were going into one, so when you did you were always glad that you had that spell sat at the end of your shortcut bar, waiting for it's time to shine. In DA: I, however you're limited to 8 abilities, and after not entirely too long if you're a mage you have more than that. This limitation is due to the fact that the PS4 and Xbox One controllers map abilities to 4 buttons and then those same 4 buttons while L2 is held. PC doesn't have any of these limitations as it has both the mouse and 12+ keys to lock it all to. In DA: O it had the whole bottom of the screen dedicated to abilities and anything more than the number keys you jut have to press with the mouse. And I like it that way. With DA: I I had to only use all purpose abilities, no attacks that only really worked in certain situations and no abilities I just kind of liked. Everything had to be streamlined and sometimes chaos works better. Another bother for me was the necessity of unnecessary side quests. Now making side quests a necessity has been happenning forever. In RPGs you have to do side quests to level up and move on. It's a part of the gameplay, you need to be stronger to fight stronger things, it makes sense. You're never locked out of progressing, you just might not be able to beat the things you have to face out there. In DA: I, however, if you want to progress through the story you have to have enough 'Inquisition Power' to do the next mission. Each mission costs a specific amount and the amount gets higher as you progress. Each side quest you complete gives you one maybe 2 points of power, so they literally lock the next story mission until you complete an arbitrary number of side quests which, by definition should not be important. It's extension of game length via stopping you and turning you back. It didn't bother me very much on my first play through. 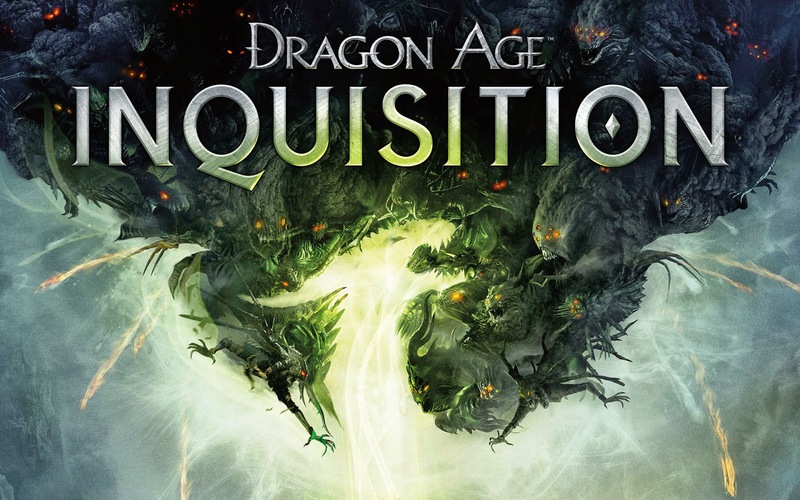 I'm a huge DA and Bioware fan so playing through every single thing was my goal, I was racking up 2 or 3 times the amount of points needed to get everything done, but when I decided to play through it again with a different character type I felt like I simply could not be bothered with it. I did not want to have to go pick up those 5 tomes again. I didn't want to have to go find 5 iron and a logging site. I didn't want to have to kill 15 mountain goats. I just wanted the story. I just wanted to advance. I guess this is a pro-con complaint. on the one hand it was good enough I wanted to complete it again, on the other hand it was not as good hte second time because I'd done it before. The last thing that annoyed me, and this is a really minor thing but it was a big thing to me, was the character archetype of 'comedian'. What I mean by this is, you remember in DA:2 where you had the option of what your character said. You could say something good, something evil, something serious or something funny. and the game would remember it, then if you did it enough it'd make you say funny things without having to select it in the second and third act. But in DA: 2 you didn't have that option. I get that it was a serious situation. the world is ending and all that, but I feel like even in those situatiosn some people would be able to laugh. I feel like those situations are the best time for those people to do so. Yes the world is ending, but if we stop laughing then we really are doomed. So I was disapointed by that. However it wasn't as disapointed as I was by a certain other character who was supposed to have a comedian mentality returning and being the dryest most serious character I'd encountered. The way that character was developped he should have been able to laugh in the face of any danger, any peril... and yet he didn't tell a single joke, make a single witty remark. It was disapointing. Also the characters were a little weak in this one. That said it was still a very good game. It made a lot of advances in the franchise and is well worth playing. There are some really nerdworthy scenes where you meet up with characters from previous games, the gameplay, despite the consol limitations, is still thoroughly enjoyable, and the story is top notch. The personal stuff takes a little bit of a back seat, and I'd like it if they made the companion conversations more common, like, a lot more common, but otherwise it's still a pretty fun game. I'm glad I bought it, glad I played it. Not sure I'm glad I bought it twice... but... Oh, yeah I bought it twice. I'd bought it on the PC and then I heard it was going to have multiplayer so I bought it on PS4 to play with my friends. The multiplayer was a nice little edition, but not worth a whole second copy of the game. Anyway, that's my thoughts, its not as good as the others to me, but still a really good game.